cozy 2bed/2baths home!Serial #S5099U/X Kitchen has been upgraded 3 years ago with granite counter tops, pergo flooring as and eat in kitchen.Carpet throughout the rest of the home. Tile flooring in bathroom(s).Backyard with stone pavers, completely fenced and persimmons, orange, lemon and maple tree. 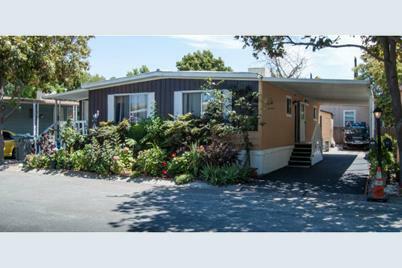 Sold by Cjp, Efren Galaviz-P.
742 Spindrift 742, San Jose, CA 95134 (MLS# 81427908) is a Mobile/Floating Home property that was sold at $96,000 on June 17, 2015. Want to learn more about 742 Spindrift 742? Do you have questions about finding other Mobile/Floating Home real estate for sale in San Jose? You can browse all San Jose real estate or contact a Coldwell Banker agent to request more information.